I just love going out for fish and chips with the kids on Good Friday and it's a tradition we've taken part in for as long as we can remember. 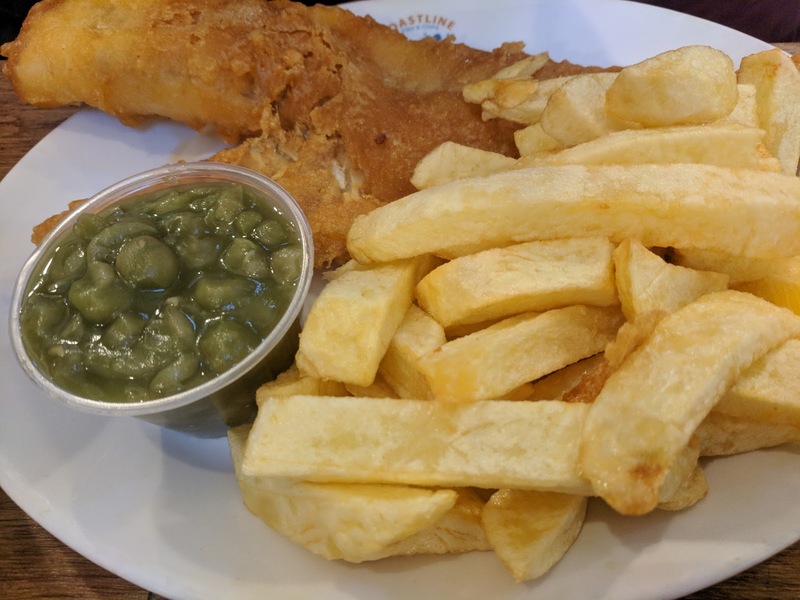 Over the years, we've tried various places across the North East and all of the fish and chips mentioned in this post have been personally tried and tested by either us as a family or my friends. Let me know if you have any favourites we've missed that we should try. 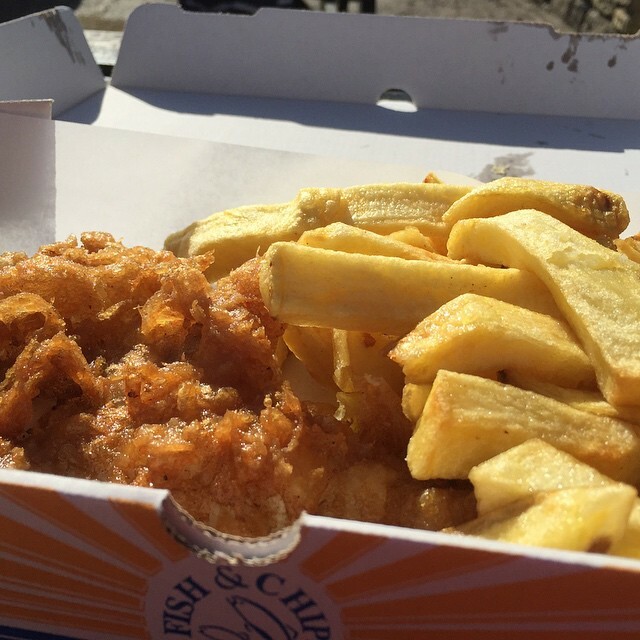 If the weather is nice, we like to grab a takeaway and enjoy our fish and chips on the beach. If you'd like to do this, my top tip is to get to your chosen takeaway as soon as they open as queues on Good Friday really build up quite quickly! Personally, I prefer to book a restaurant these days as it stops us having to deal with bored kids in a queue and it's warmer too! We tend to take part in a National Trust Egg Hunt or a walk along the coast afterwards. Evan's Bistro in Whitley Bay are hosting a special Good Friday event this year. 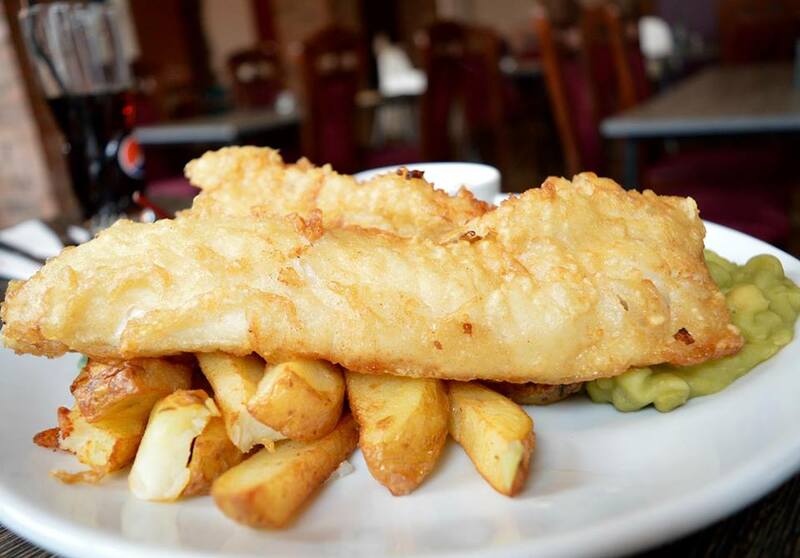 Diners can enjoy a hand-battered Cod fillet served with homemade chips and tartar sauce for just £7.50. Children aren't forgotten either and fish goujons, chips and peas plus a drink and ice cream will set you back just £4.95. The restaurant has it's own children's snug filled with games and toys so it's perfect for families looking for a relaxed lunch or dinner after a walk along the coast. Find out more here and call 0191 252 6532 to book. Colman's Seafood Temple is the only place on this list I haven't visited personally. My good friend Katie Jane speaks very highly of this place though and is a frequent visitor. 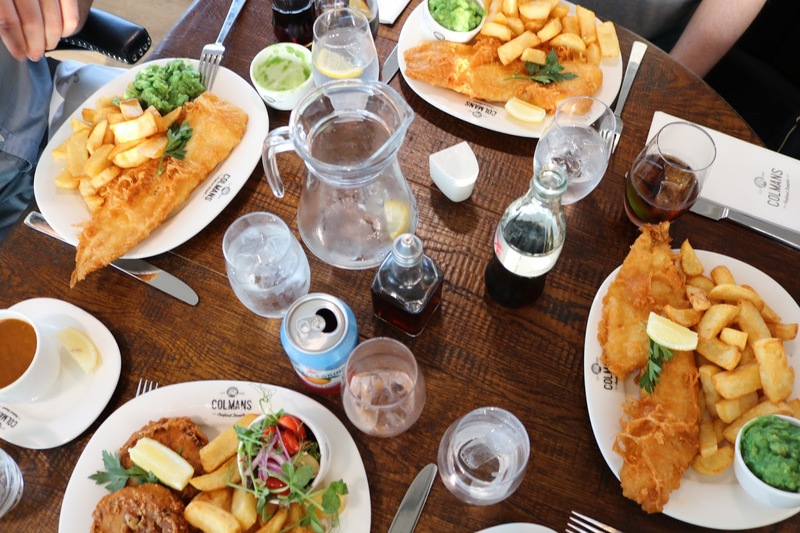 I trust Katie's judgement (check out Katie's review here) and we're planning on finally visiting Colman's Seafood Temple in South Shields in the Easter Holidays so I'll update this post with my own thoughts once I've visited. Prime Cod and chips will set you back £9.75 and children's meals are priced at £5.25 including a drink and ice cream. There's so much to do in South Shields after your meal from Ocean Beach Pleasure Park to Dunes Soft Play or a walk along the beach. Find out more here and call 0191 511 1349 to book. We booked the Black Horse Beamish pub for Fish and Chips a few years ago and were really impressed. The restaurant is light and airy, the staff attentive and the food was delicious too. There's a play park in the beer garden for the kids if the weather plays ball too. Fish and Chips are a little on the pricey side here at £14.95 for a full portion or £9.95 for a half portion but worth it for a treat. Children's meals are reasonable at £4.95 for a main, dessert and drink. Black Horse Beamish is well located for a trip to Tanfield Railway or Beamish Museum. Find out more here and call 01207 232 569 to book. Marshalls on Tynemouth Front Street is a bit of a North East institution and there are always queues on Good Friday but they are 1000% worth it. You can choose to dine in their traditional cafe or take out and enjoy overlooking Kind Edward's Bay. Find out more here. Pantrinis in Whitley Bay is a fantastic option if you're looking for traditional fish and chips by the sea. Diners can eat in (recommended) or take-away. Meals are very reasonably priced too. Find out more here. Longsands Fish Kitchen in Tynemouth is award-winning and I can certainly see why. You can dine in (recommended) or take away. I adore their crispy squid and fish and chips with curry sauce - yum! 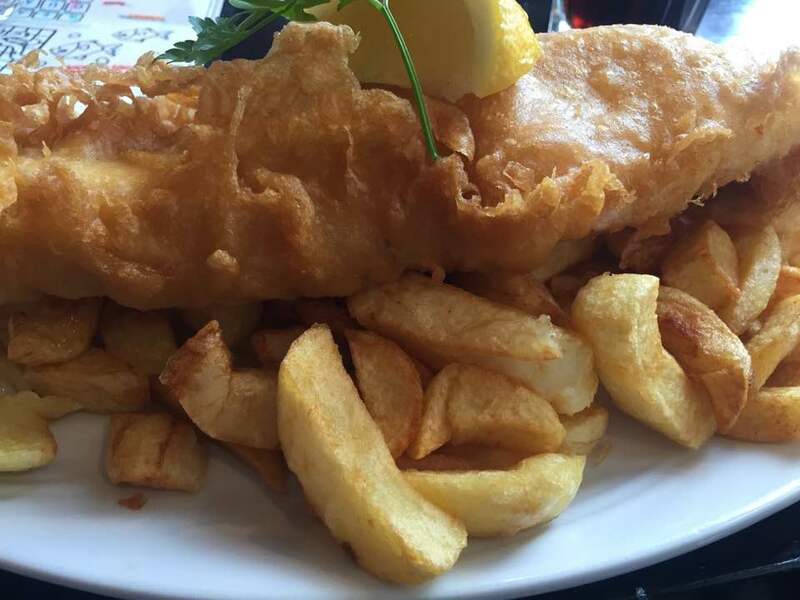 Cod and chips will set you back just £9.95 when dining in and £5.95 for kids (with ice cream). Find out more here and call 0191 272 8552 to book. 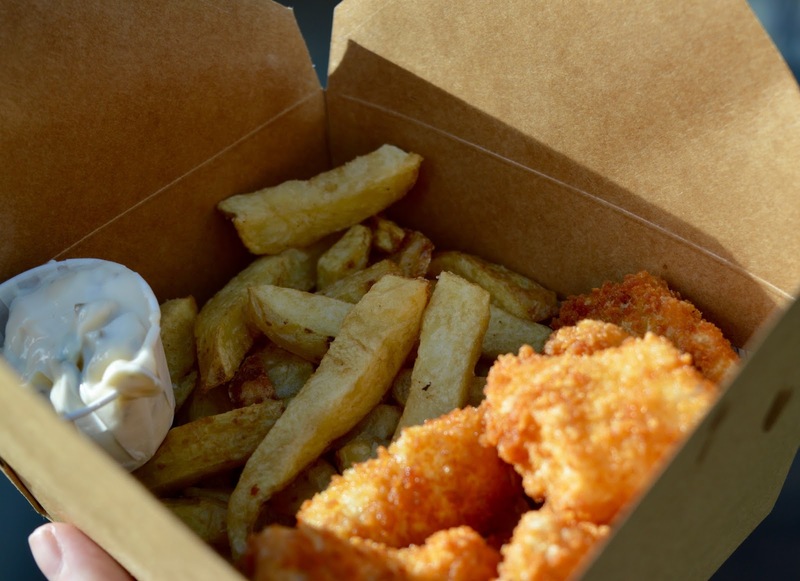 You can order traditional fish and chips or stonebaked pizzas from Coastline Blyth. It's another restaurant where you can choose to dine in as we did this winter or take away. Coastline is perfectly located for a walk along the prom and there are two big parks right outside and an ice cream parlour on site too - perfect for families. The Coastline Special with all the trimmings including a cup of tea is £11.50 and kids meals are £3.90 including chips and a drink. 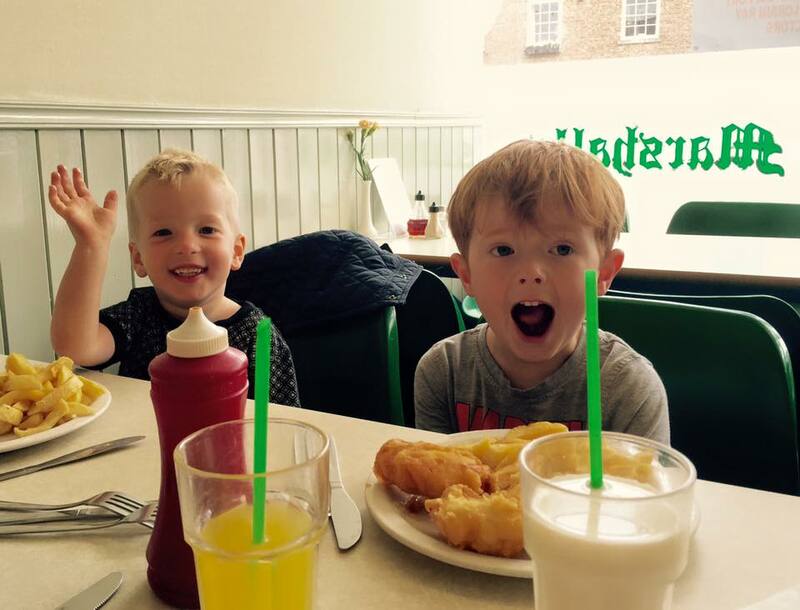 The Harbour Fish Bar in Amble is one of our go-to places when staying in our family caravan at Cresswell. The fish and chips from here are always authentic and perfect to eat in the car overlooking the harbour (and to avoid those pesky seagulls). Find out more here. The Little Fishy will be settled into their new summer home on the Quayside Seaside in time for Good Friday. This year's Quayside Seaside is going to feature a playground for children aged 3-7 years as well as buckets and spades, lots of sand and striped deckchairs for the grown-ups. It will be a perfect choice if the weather is warm and sunny. Fish is a little different here - sourced from North Shields Fish Quay, covered in Panko Breadcrumbs and fried in Rapeseed oil. Find out more here. Bells Fish and Chips Restaurant in Durham City Centre has a real quality feel about it and is a lovely place to visit for a treat. Children are made to feel very welcome in the restaurant and we loved their kid's packs last year. You can choose to dine in or takeaway. Cod, chips, tartar sauce and bread and butter is less than a tenner and children's meals are £6.45 including ice cream. Find out more here and call 0191 3848974 to book. I'd love to hear where you'll be heading for Fish and Chips this Good Friday. 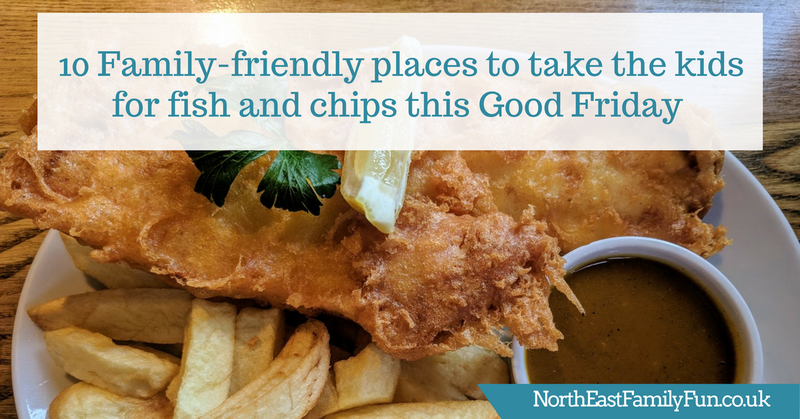 I'd never heard of the Good Friday Fish and Chip tradition until I moved to the north, but I love it! 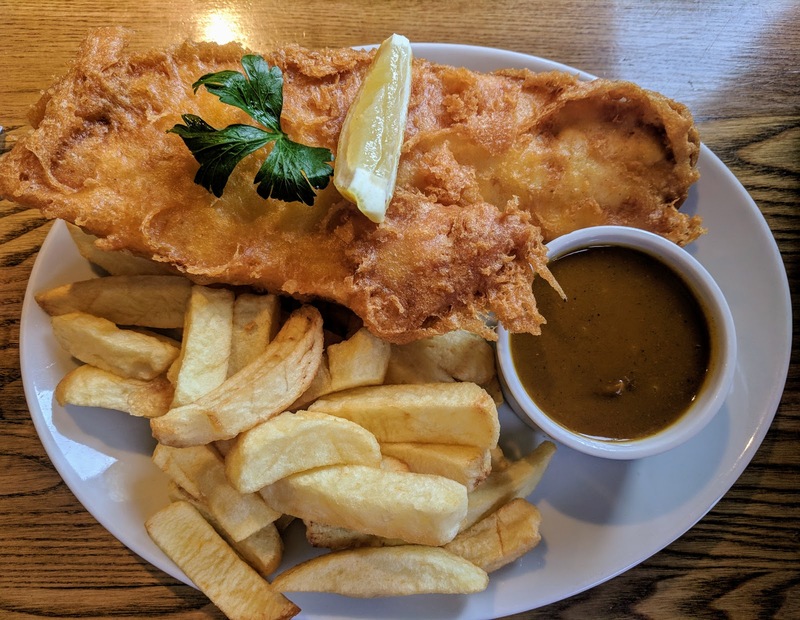 We haven't had fish and chips for ages and this post has made me crave them - your photos are brilliant! Not unpopular at all, I’ve loved at the coast all my life and never been a fan of Marshall’s. Fish kitchen wins hands down but before that we always went to Pantrinis or the Fish Quay. I’ve never understood the fascination with Marshall’s either. Very average at best. Longsands is the best if your out that way but for me, Fenham Fish Bar will never be beaten. Appreciate this is a post about restaurants though!